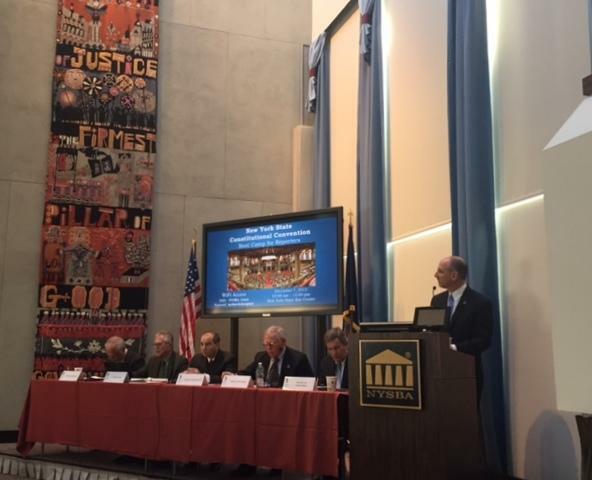 NYS Bar Association President David Miranda speaks at a forum on the issues surrounding the next vote on a state constitutional convention. The last time a constitutional convention met and voters actually ratified it’s result, was 75 years ago. It was in 1938, at the height of the great depression. He says a recent poll found 69 percent of voters open to the idea. 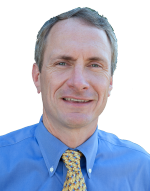 He says the state’s constitution has many progressive elements already, like fairer treatment of the mentally ill, and strict rules on land conservation in the Adirondacks and elsewhere. Because of that, he says, the left has potentially more to lose if a convention is held. The New York State legislature is seemingly back to business as usual. But there has been little public discussion about a corruption crisis that has led to the two most powerful men in the legislature both on trial in federal court this month. Sean Ryan not surprised by Silver conviction; sensed former speaker was "in big trouble"
State Assemblyman Sean Ryan said he he's not surprised Sheldon Silver has been found guilty of using the power of his office to earn nearly $5 million illegally. Ryan, an attorney, told WBFO he read the criminal complaint lodged against the former Assembly speaker before the trial began. 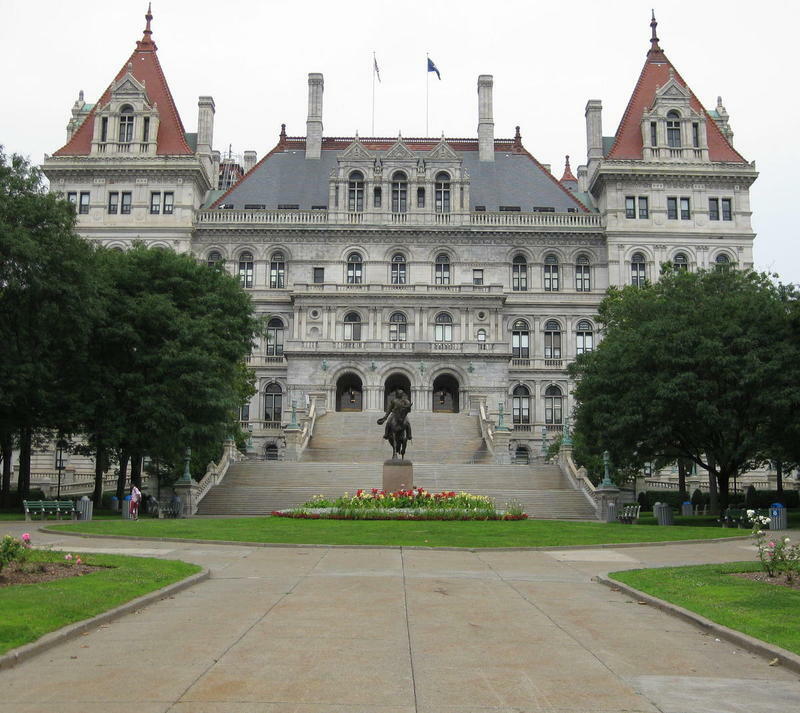 Buffalo, NY – Governor David Paterson joined state legislative leaders and civic groups in Albany Wednesday for "Albany on the Record" -- a public conference on state government reform. Paterson and the other elected leaders discussed ways of reducing the dysfunction in state government. One of the issues was redistricting. Paterson says he supports a nonpartisan redrawing of district lines based on the results of this year's census. He says past redistricting efforts have too often resulted in chaos.